K-12 school districts across the United States are often burdened by high energy costs, which total approximately $8 billion annually according to the U.S. EPA. These costs are second only to those for personnel, highlighting the importance of reducing these expenses for district administrators and local communities so that funds can be spent more directly on student education. ForeFront Power’s energy solution allows schools to install solar without any upfront cost. Under this Power Purchase Agreement (PPA) model, ForeFront Power will design, permit, finance, install, and maintain the solar energy project for a 20-year term. In return, Huntley simply pays for the electricity generated by the system at a predictable price below their existing utility rate. Each school that hosts a solar project will receive a kiosk with system monitoring for community members and teachers to see upon entering the building. ForeFront Power will also implement free energy lesson plans from Schools Power, a leading national education organization that provides school districts with standards-based renewable energy curriculum packages. The solar projects will be constructed upon receiving interconnection approval from the utility and formal certification to receive Solar Renewable Energy Credits (SRECs) made possible by the Illinois Future Energy Jobs Act of 2016. They are expected to produce 7.5 million kilowatt-hours of electricity during the first year of operation, the equivalent to nearly 12.3 million pounds of carbon emissions removed from the grid according to the EPA Greenhouse Gas Equivalencies Calculator. 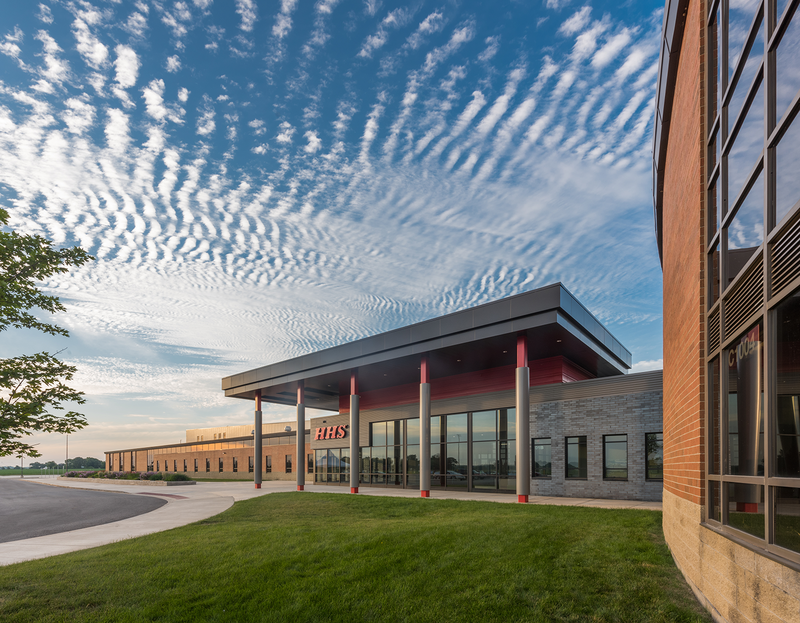 Located in McHenry and Kane counties of northern Illinois, Huntley School District 158 serves 9,600+ students in Pre-Kindergarten through grade 12, residing in Huntley, western portions of Lake in the Hills and Algonquin, and surrounding areas. The District employs more than 1,400 staff members and has been one of the fastest-growing school districts in Illinois over the past decade. The District gained renown for its campus-concept idea, devised to accommodate the huge population growth it experienced in the 2000s. Over that period, the District transformed from a one elementary/one high school district to its current five elementary schools, two middle schools, and one high school, located on three campuses. Built between 1997 and 2005, all of the District’s schools were designed with a primary focus on technology in education.